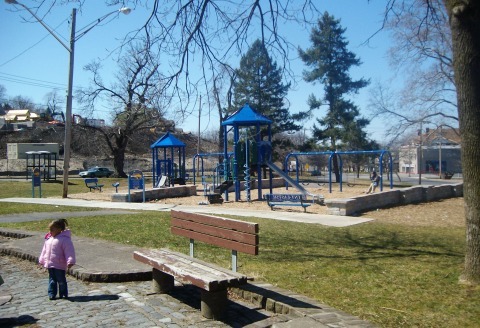 Right in the heart of this Eastside neighborhood on E. Genesee, Columbus and Lexington Streets lies Loguen Park. Loguen Park is rich with history and alive with children playing on new playground equipment, annual holiday events, and neighbors buying fresh produce at the Farmer's Market in the summertime. A true neighborhood park that invites you to come in - sit a spell.